ĐÀ NẴNG — Đà Nẵng City authorities plan to construct Liên Chiểu port at a total cost of VNĐ7.4 trillion (US$320 million). The provincial People’s Committee is now tasking related agencies to complete the project’s pre-feasibility study dossier. If constructed, the port will ease the pressure for Tiên Sa and Sơn Trà ports as well as the urban traffic. According to the plan, more than VNĐ3.4 trillion ($147 million) will be invested in two initial docks which can receive cargo ships of up to 100,000 tonnes and container ships of from 6,000 to 8,000 TEUs, delivering 3.5 to 5 million tonnes of goods per year. A 820m-long breakwater and a 350m-long jetty are included in the plan, ensuring the port to operate more than 300 days per year. A fairway of 7.2km, a maritime signalling system, roads connecting to the port and other social infrastructure will also be constructed. Nearly VNĐ3 trillion ($129.7) will be allocated from the State budget including VNĐ500 billion ($21.6 million) from the backup source of the 2016-2020 medium-term public investment plan and VNĐ433 billion ($18.7 million) from the local budget. 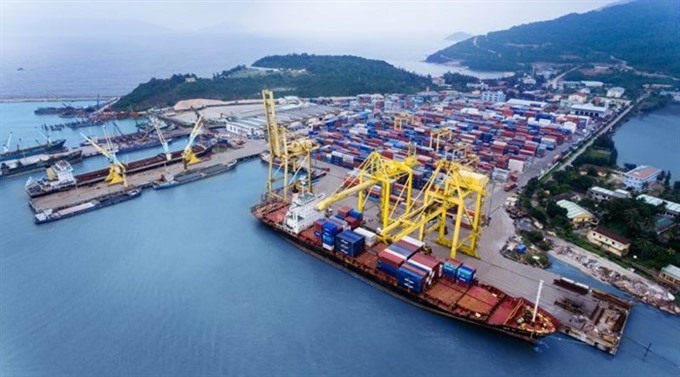 Đà Nẵng City authorities also plan to call for an investment of more than VNĐ3.9 trillion ($168.7) from the private sector to build two additional docks. The preparation is expected to complete by 2019 for the project to be implemented and come into operation in the period of 2020 - 2022. Ministry of Planning and Investment (MPI) said Đà Nẵng City had not appointed as the project’s managing agency and the National Assembly had not approved the principles and criteria to use the backup source of the 2016-2020 medium-term public investment plan. Therefore, the ministry has not proposed to the Prime Minister about the project’s funding.